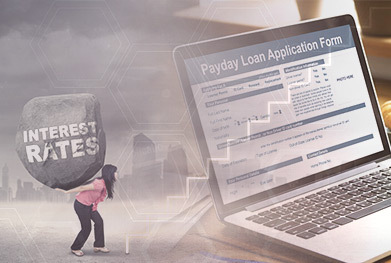 Online Payday Loans and Overdraft Fees - Are You Paying Too Much? Someone's Gotta Pay - But How Much? October’s here and the holiday season is just beginning to creep closer – it’s hard to believe 2017 is almost over. A lot’s happened, to be sure, but we’re still here, with the latest cases that matter to you, our loyal readers! This week – are you paying overdraft fees when you shouldn’t be? How about interest rates that may be way above the legal limit? And, of course, we have the news on the Equifax breach that’s spawned dozens of lawsuits. In fact, there’s a few cases with important updates in this newsletter– so read on, and make sure to get in touch if you think you could have a claim! Attorneys working with ClassAction.org are investigating the business practices of online payday loan companies to see whether they’re charging illegal and excessive interest rates. State and federal laws place limits on the amount of interest companies can charge to help protect borrowers. (In Virginia, for example, most businesses are limited to charging interest at about a rate of 18%.) It is believed, however, that some online payday loan companies are breaking these laws and charging annual percentage rates of up to 800%. They claim they can’t be sued over this alleged practice because they’re “associated” with Native American tribes and that the tribes’ sovereign immunity also applies to them. Attorneys suspect that this sovereign immunity “escape clause” would only apply if the payday loan companies were actually owned and controlled by tribe members. Instead, it is believed that the lenders are offering tribes a small fee in exchange for the use of their name – an alleged practice that’s now being challenged in the courtroom. Read more about this on our dedicated page. Attorneys working with ClassAction.org would like to hear from anyone who owns or leases certain Audi vehicles and has experienced problems with their transmissions. It’s possible that a defect is causing a number of problems, including juddering, clunking, difficulty shifting, and unexpected surges. Vehicles that may be affected include the 2010-2013 Audi S4, 2010-2013 Audi S5, 2013 Audi RS5, 2013 Audi S6, and 2013 Audi S7. Drivers have already contacted the National Highway Traffic Safety Administration about the problem, complaining that the cars are going into “limp mode,” lunging forward as if being rear-ended and showing messages on the information displays indicating a “gearbox malfunction.” It’s been reported that some drivers are spending up to $3,000 to have the issue fixed – a cost that a class action lawsuit could help recover. Want to know more? Get in touch today. If you’ve been charged an overdraft fee on your debit card for an everyday purchase (like an Uber ride or GrubHub order), you may be able to take part in a potential class action lawsuit. Attorneys working with ClassAction.org suspect that some banks may be charging overdraft fees for everyday purchases made on debit cards when their own contracts specifically forbid it. It all has to do with the type of charge: recurring ones, like automatic bill payments you’ve set up, are normally subject to overdraft fees – but non-recurring transactions (regular purchases, basically) are increasingly exempt from this, with banks saying they’ll just decline the purchase rather than allow your account to be overdrawn. It is believed some banks may be misclassifying these everyday charges and, as a result, levying overdraft fees and lining their own pockets. Debit card charges that have allegedly been misclassified include Uber and Lyft rides, cosmetics, airfare and hotel bookings, among others. Attorneys working with ClassAction.org believe a class action lawsuit could help keep the banks accountable and seek compensation for customers who’ve been forced to pay overdraft fees when they shouldn’t have. Read more. Attorneys working with ClassAction.org are investigating whether a class action lawsuit can be filed over problems reported in connection with FlowGuard Gold CPVC pipes. These pipes are designed and sold to last 40 – 50 years, but it is suspected that a defect in their design may be causing them to fail much sooner than that, becoming brittle and even falling apart within a decade. You might have noticed a slow leak, cracks, or wet spots appearing as a result of the issue and attorneys suspect that the resin used in the pipes’ production is the cause. A lawsuit could help seek compensation for the cost of repairs, replacement, damage done to your home, loss of property value, and other costs directly linked to the pipes. This investigation pertains to pipes marked with FlowGuard Gold, but the manufacturer may vary. A list of brands affected – and information on what to do if these pipes are in your home – can be found on our website. The Equifax data breach is unparalleled, and has obviously led to a number of class action lawsuits over the company’s management of users’ data. You don’t need to do anything right now to be covered by these lawsuits – but since we know it can be confusing, we’ve gathered all the information on the suits filed so far, and will keep you up to date as things move forward. Find out about the class action lawsuits here. We’ve reported before on problems with the heat, defroster and air conditioning in Jeep Wranglers, but now it looks like the issue might also extend to Jeep Liberty, Dodge Journey and Dodge Avenger vehicles. Attorneys suspect the cause of the AC and heating issue stems from the automaker’s failure to fully flush the casting sand out of the engine blocks before the cars were sold. It’s believed that, as a result, the sand can leave a sludge-like residue in parts of the heating and cooling system. If you’ve been to see a mechanic and they’ve found sand or sludge in your vehicle, we’d like to hear from you. Fiat Chrysler has already been sued over the Jeep Wranglers, but attorneys working with ClassAction.org believe the problem extends well beyond these cars. Read more and get in touch here. A judge in California has dismissed a class action against Hyundai after ruling that the company’s statement about its paint “standing the test of time” was not a literal promise, and that the vehicles’ three-year warranties were enough to cover customers who had problems with their paint peeling and cracking. It was also noted that most customers who experienced the peeling paint did so after the warranty period, and that some of the plaintiffs hadn’t quite provided enough evidence that Hyundai knew about the problem. We have a full break down of the decision on our site. What’s Going on with the Ford Exhaust Suit? A settlement was reached in the Ford exhaust lawsuit – but many have noticed that there’s been a delay since the decision was announced. There’s a simple reason for this: a class member has appealed the decision, arguing that it wasn’t quite fair and should be looked at again. The Court of Appeals for the 11th Circuit is now considering the claims, but for now there’s nothing that you need to do – or, really, that you can do. We’ve written a blog about the specifics of the appeal, which you can find right here!